Welcome to the 2nd edition of the Bluejay Briefing! 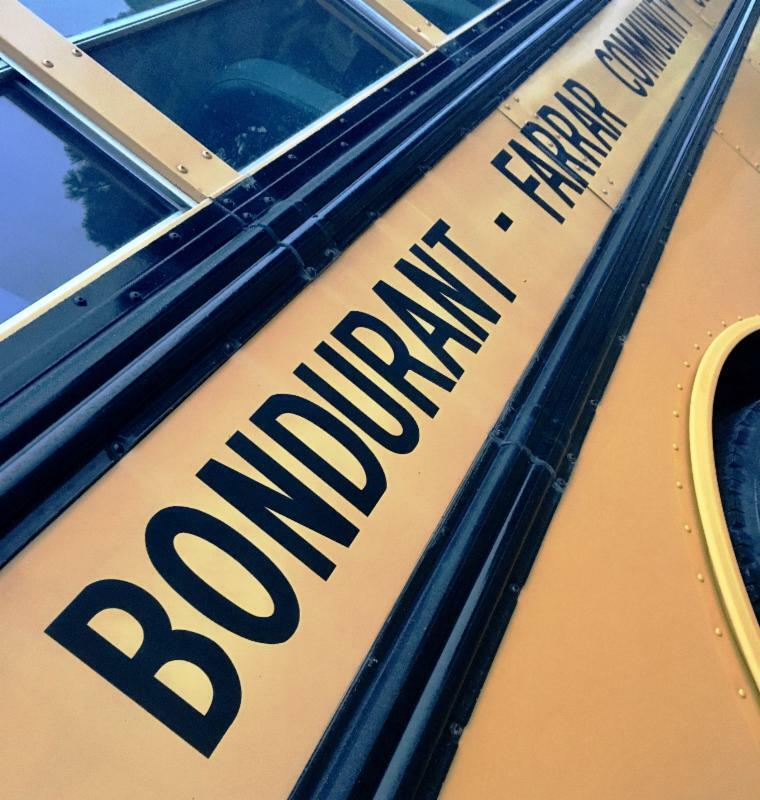 The Bondurant Chamber of Commerce named Bondurant-Farrar CSD the 2016 Organization of the Year at their annual dinner on Friday, January 20th. Director of Administrative Services, Chad Carlson is pictured accepting the award on behalf of the district. We're very honored and humbled to receive this honor. We take pride in providing excellent educational opportunities for the students of BFCSD. Thank you for your continued support! 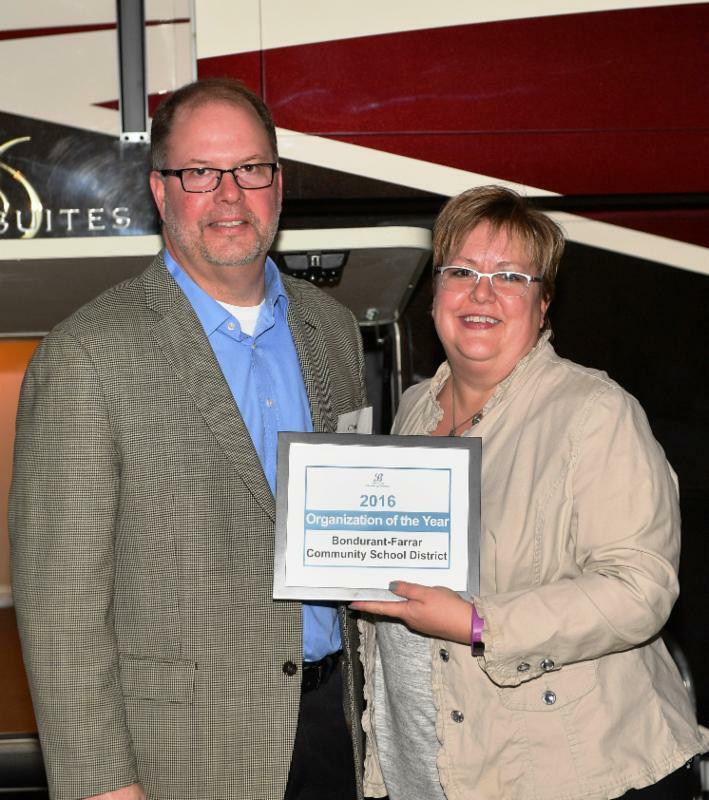 Congratulations to Mrs. Gustin who was named Educator of the Year by the Bondurant Chamber of Commerce on Monday, January 23rd. Caring, understanding and patient were words used to describe Mrs. Gustin in the nomination letter. Gustin is a special education teacher at Anderson Elementary and has over 11 years of experience in the district. 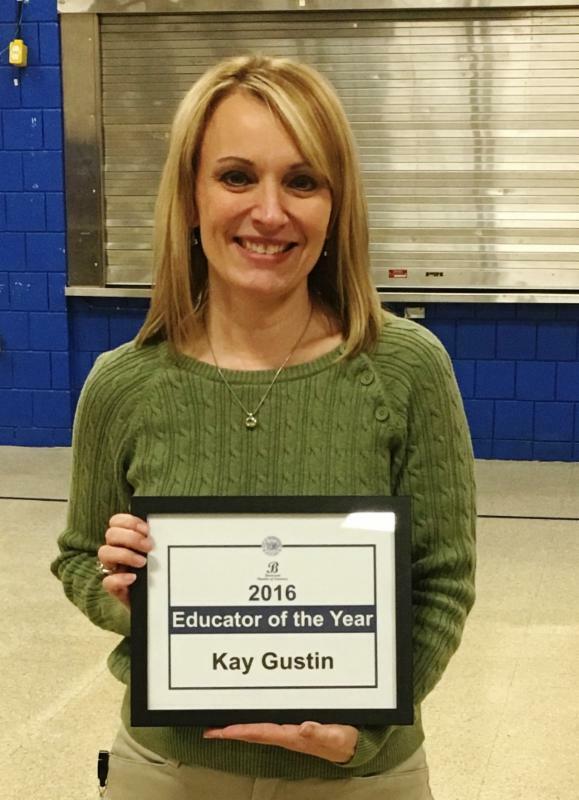 Please join us in congratulating Mrs. Gustin! 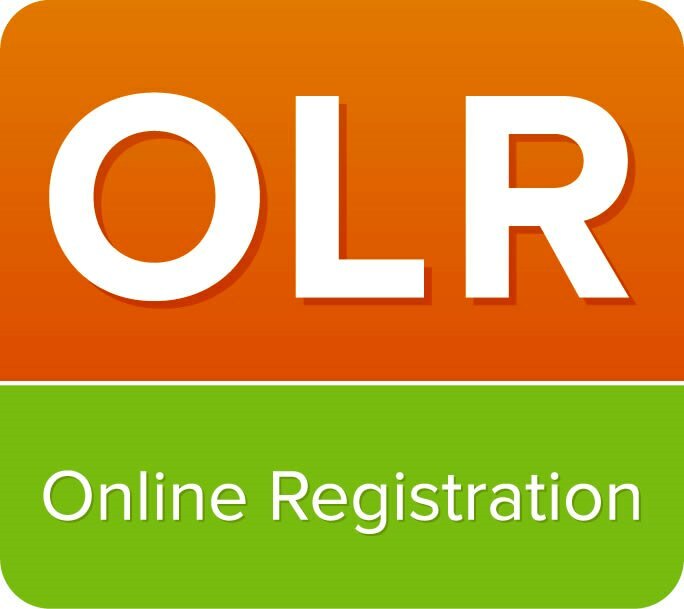 The district is pleased to announce the implementation of online registration for the 2017-2018 school year. Online registration gives families a more efficient experience and will not require an in-person visit. Additional information will be released in the near future. Online registration is processed through Infinite Campus, our current student management system. To access online registration you MUST have a username and password for the Infinite Campus parent portal. 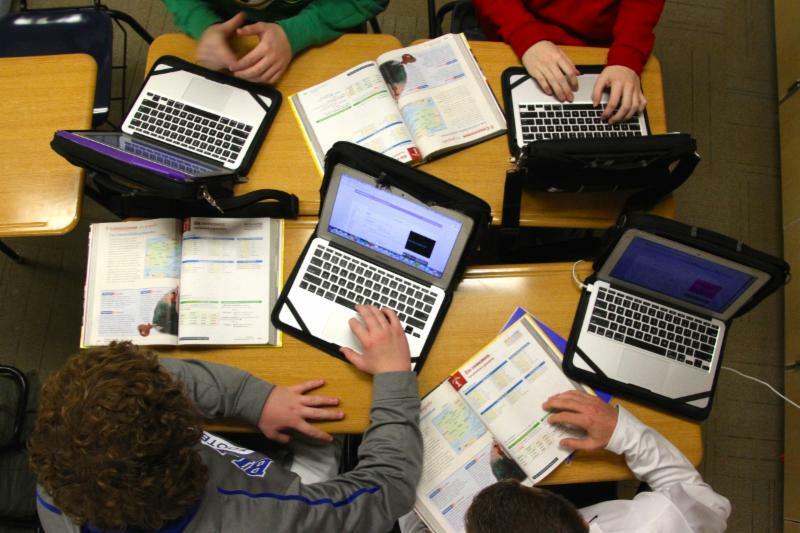 If you’ve already obtained your parent portal username and password, you are ready to begin using online registration when it is activated later this school year. If you need to obtain your username and password, contact us via email. INCOMING KINDERGARTEN STUDENTS: To best prepare for our new students, the district asks families to register their incoming kindergarten students from February 22nd-March 8th. With the start of the second semester, we are now enforcing that students are required to show their bus pass in order to ride all B-F buses. To make it easily accessible, we ask that students use the luggage tag that was issued with each bus pass at the start of the school year. Ideally, students can hook the pass to their backpack or computer case allowing our bus drivers to easily see it each day. If students do not have their pass present at the time of boarding, parents will be contacted via email and students will have 24 hours to produce their original bus pass before a new pass is issued. A replacement fee of $5 will be charged for this service. 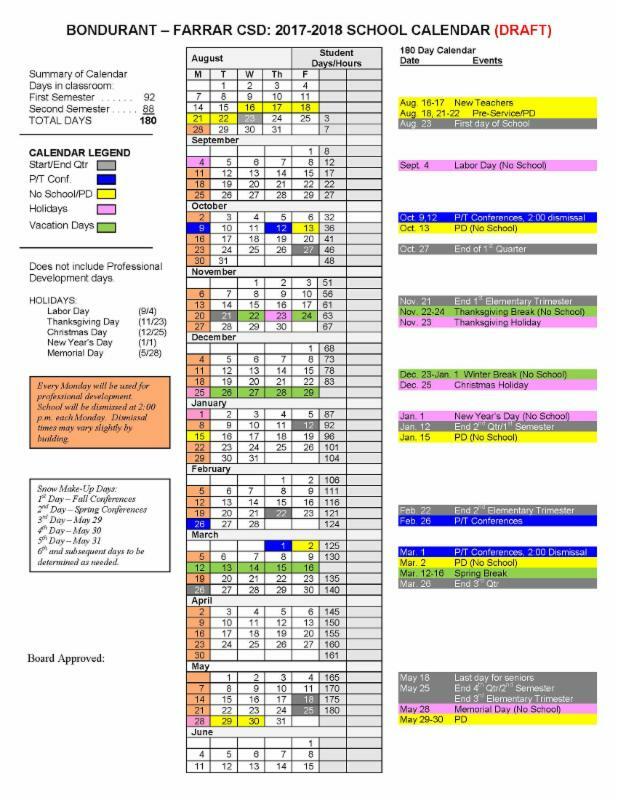 The district will be holding a public hearing to allow for comments on the proposed 2016-17 school calendar at the February 13, 2017 board meeting. Attendance at the meeting is not necessary. Please direct comments and questions to Chad Carlson, Director of Administrative Services, by email or phone at or 515-967-7819. Responses must be received by Wednesday, Feb 8th. We would like to provide you with a link to our Annual Report from the 2015-16 school year. This report will provide you with in-depth information regarding educational opportunities, our use of technology, extra-curricular activities, the growth in our district, and much more. We are proud to be a growing district with a rich tradition in excellence.